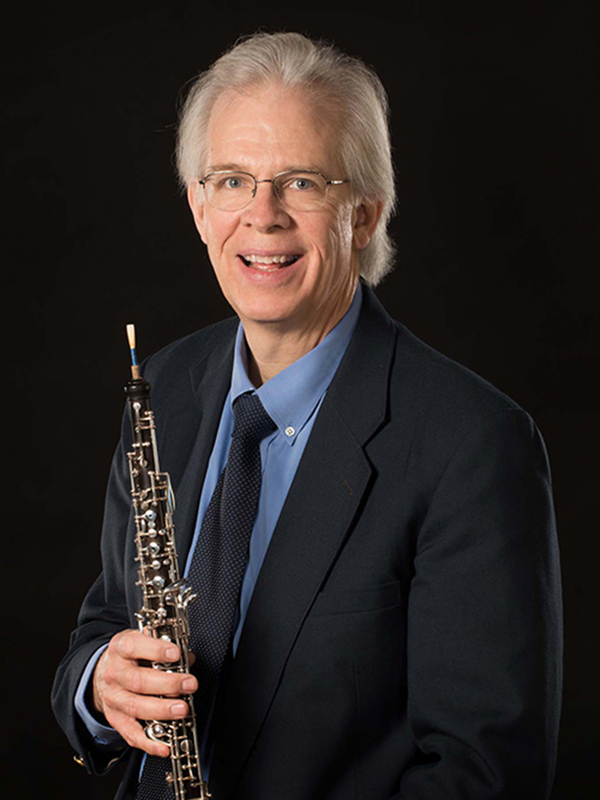 William McMullen, professor of oboe at the University of Nebraska–Lincoln, is principal oboe with the Lincoln Symphony Orchestra and oboist in the Moran Woodwind Quintet. He has appeared as soloist with the Lincoln Symphony Orchestra and the Nebraska Chamber Orchestra in performances of the Strauss, Mozart and Vaughan-Williams concertos. McMullen is a frequent recitalist throughout the United States with pianist, Catherine Herbener, and has performed at IDRS conventions in Utah, Florida, Arizona, Wisconsin, Miami University (Ohio), New York City, the Netherlands, Australia and Banff, Canada. His book on English horn repertoire, "Soloistic English Horn Literature (1736-1984)" was published in 1994 by Pendragon Press. His CD “Twentieth-Century British Music for Oboe and Piano” with Catherine Herbener was released in 2002 by Crystal Records and includes works by Bennett, Howells, Jacob, Berkeley and Rubbra. "Duos for Flute and Oboe” a CD with flutist Claudia Anderson, was released in 2005 by Centaur Records, and includes duets by Jacob, Migot, Ginastera, Bozza, Muczynski, Musgrave and Serebrier. As a member of the Moran Woodwind Quintet McMullen has toured extensively throughout the Midwest and in 1992 the quintet was nominated for NPR’s Lucian Wulsin Award for Best Regional Performance, Small Ensemble. The quintet has recorded four CD’s on Crystal Records; a collection of contemporary quintet music titled “Postcards From the Center” and three CD’s of the complete quintet repertoire of German composer Theodor Blumer. McMullen has been on the faculty of the UNL Chamber Music Institute (CMI) for the past eight summers, was on the faculty of Rocky Ridge Music Center summer music festival in Estes Park, Colorado for 23 summers, was on the faculty of Point Counter Point Chamber Music Camp in Vermont for 5 summers and was on the faculty of Merrywood Music Camp in Massachusetts for 3 summers. He received his D.M.A. and M.M. degrees from The Juilliard School as a student of Thomas Stacy and B.M.E degree from Baldwin Wallace Conservatory of Music as a student of Galan Kral. McMullen: I really like to congenial atmosphere of all the students and teachers working together. There is a very positive energy that is pervasive throughout the school of music – people are friendly and eager to help each other. I usually end up each day cheered up by a student with what they say in class or with faculty colleagues who are working together in rehearsal or preparing to teach a class. McMullen: We have a very thorough and comprehensive environment here at the school – you can get answers to any topic you want and find colleagues who are specialists in any field that you can imagine. The students are cheerful and really enjoy being involved in music endeavors of all sorts – some classically focused and others concentrating on their work in the jazz fields, dance, singing or musical theater. McMullen: That we have been able to maintain a very positive environment for learning about music and performing music for many, many years. I am thrilled that I was given the opportunity to work here at UNL over 30 years ago – and I can’t wait for the next 30! McMullen: When I get some time off during the holiday breaks, summer and spring vacation, I often hang out with family in different parts of the country – and that often involves skiing in the mountains of Utah, seeing theater productions in New York City or spending time with relatives at a summer family cottage in northern Michigan.